The Shabby Stamper: Congratulations Graduates! 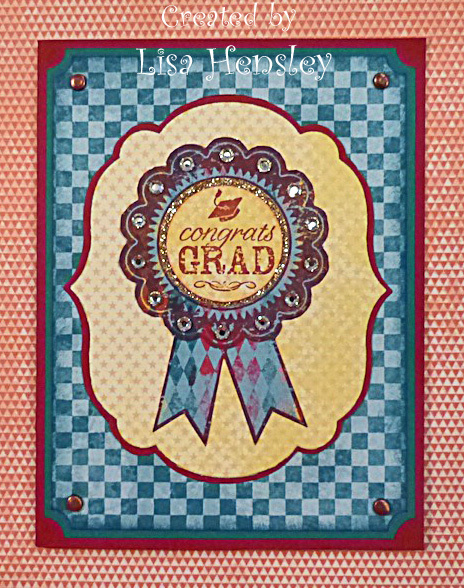 I've had a bunch of high school graduation announcements come in the mail lately, so I thought that I'd take a couple of free hours to make some graduation cards. This was a pretty simple card to put into a "production line." I love the World Spectacular dsp, as well as the Blue Ribbon set, so this was a natural! I used an image from Word Play for the inside sentiment.